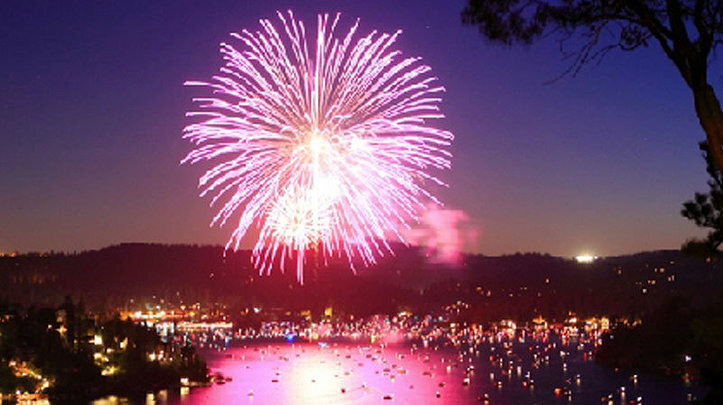 Fourth of July in Lake Arrowhead is a moveable feast. If you have a view of the fireworks from your deck, friends will come over with friends (in one case friends of friends with their friends) and this all works out because it’s a close knit neighborhood and I always like the friends of my friends. 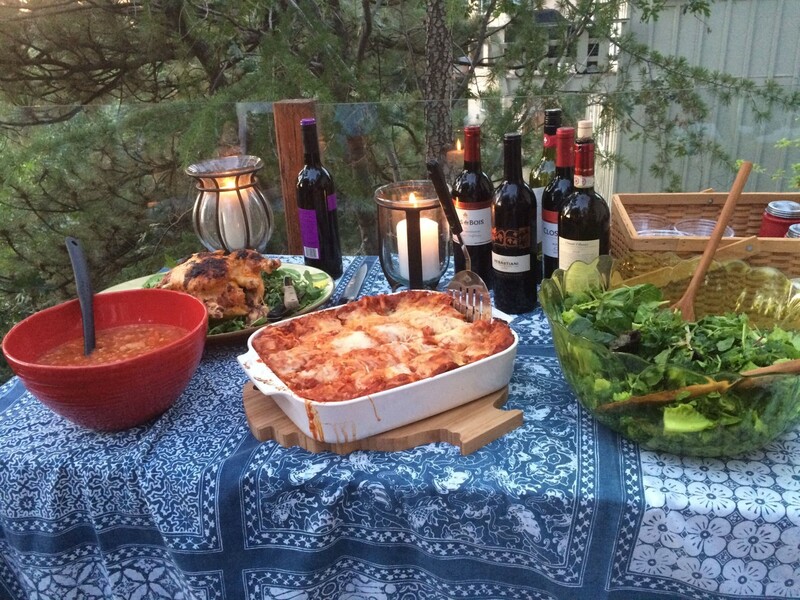 But not everyone stays for dinner – some head off to docks or boats to watch the fireworks, so you need to come up with a flexible dinner that can serve a lot of people but also makes good leftovers that can be frozen. Not to mention be easy to cook at the last minute. I went into my usual food-for-company head clutching, checking out my own recipes on this blog but nothing seemed suitable for a large group of people. Except for that ham I’m always putting out at holidays, but I wanted something new. I Googled lasagna and finally found this vegetarian version by Kelsey Nixon on the Cooking Channel blog which I tweaked quite a bit. I doubled it for my dinner, and served it with a large salad and hot bread. At the last minute I panicked and cooked two of Carolyn See’s Perfect Chickens just in case. 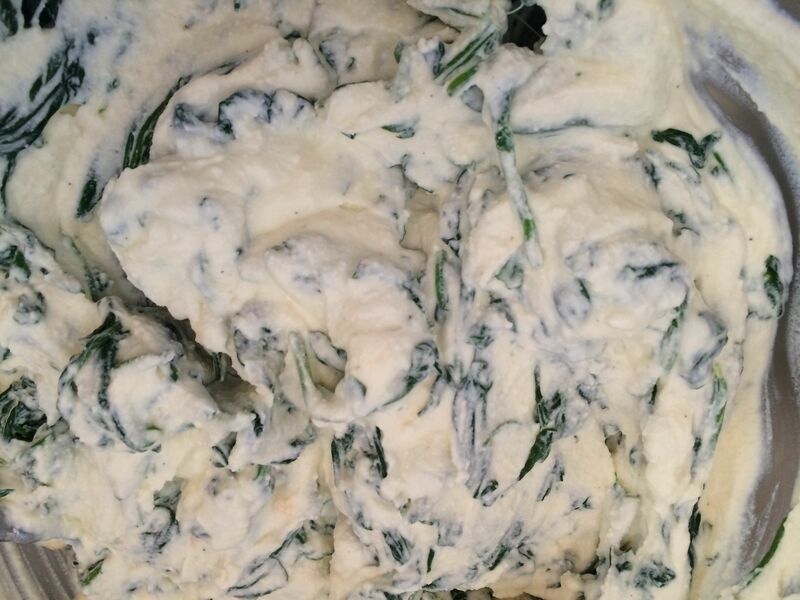 In a medium bowl whisk together the ricotta, eggs, salt and pepper. Add the spinach with all the water squeezed out (this can take a lot of squeezing) and stir to combine. 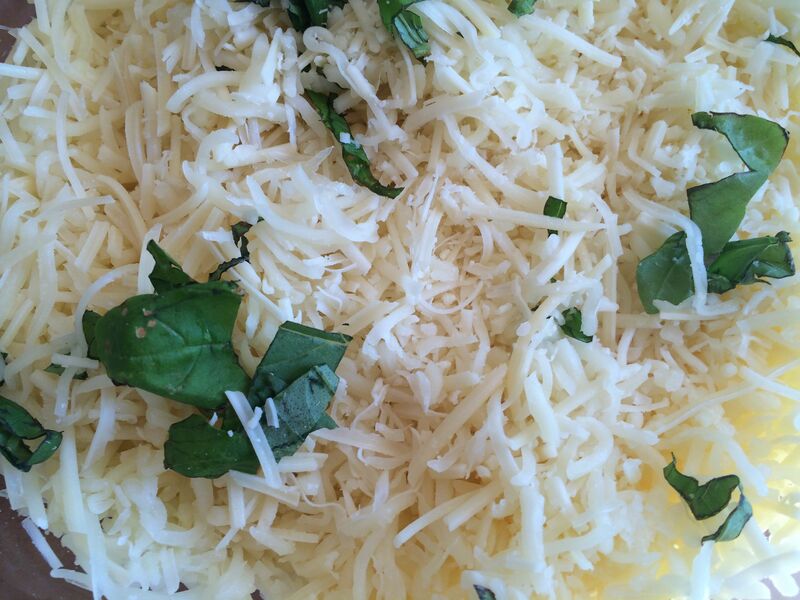 In another bowl combine the mozzarella, Parmesan and basil. Heat the olive oil in a large skillet, and when hot, add the garlic, red pepper flakes and onions, stirring. Then add the zucchini and tofu (and more olive oil if you need it) cooking for about 7 minutes. Season with more salt and pepper. Spread a layer (1/3 cup) of marina sauce on the bottom of a 9 by 13 inch baking dish. Arrange a layer of the noodles over it, and then 1/2 the ricotta mixture, 1/2 the veggies and tofu, 1/3 the cheese. Then another layer of noodles and again 1/2 the ricotta, 1/2 the veggies and tofu, and 1/3 the cheese. The final layer of noodles covered with 1/3 the sauce (the rest of it) and the rest of the cheese. Cover the top with aluminum foil and here you can pause and put it in the fridge until dinner time. Fix the salad ahead of time, slice a loaf of French bread and wrap in foil, mix salad dressing and have ready to pour, and you’re all set. 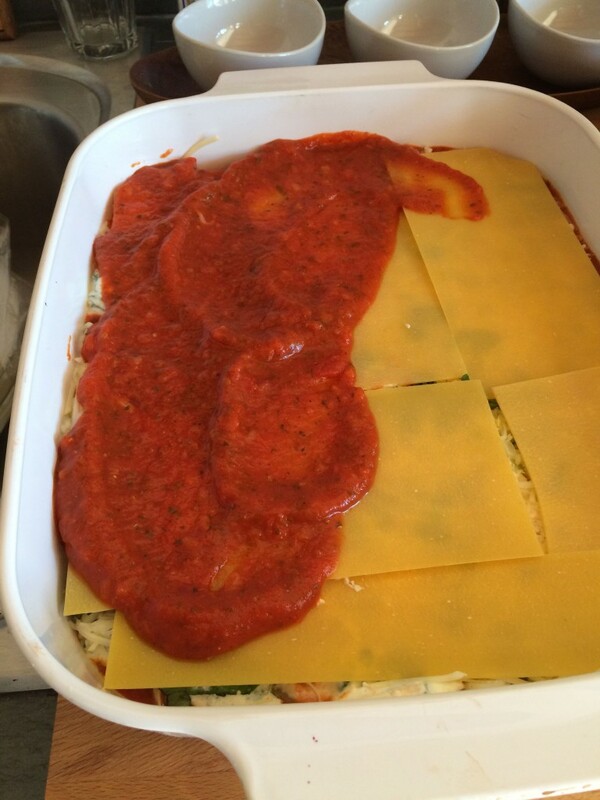 Bake the lasagna at 400 degrees for 30 minutes (10 – 15 minutes longer if it’s been in the fridge and is cold) then remove foil and continue to bake another 15 minutes or until the top is golden brown. Let cool for another 15 minutes. NOTE: I tried a different version of this on friends last night, and realized what a flexible lasagna recipe it really is. First of all I forgot I needed eggs and it was too late to brave LA traffic to go to the market, so I just left them out. I also used sliced mushrooms (10 oz.) instead of zucchini, which turned out to be really delicious (if you like mushrooms) but there’s more liquid to deal with. So I cooked the onions and garlic first and placed in a bowl, then the mushrooms (with more olive oil) and added them to the onion/garlic bowl, and then cooked the tofu in the same pan, getting it crumbly and flavored with some of the mushroom liquid. Then I cooked the onion/garlic/mushrooms/tofu together for a few minutes. I began to have my doubts with winging this recipe (the no eggs etc.) but to my surprise, everybody gave it a 5. Inspiring Barbara! We had children, family and a few people for Charlie’s 85th and i chickened out and chartered a boat for the party (it comes with food and drink) but the rest of the weekend, the kids dug in and produced lasagna, huevas rancheros and whatever. I did do chicken and veggies one night. Nothing as heroic as you. Admiration! A boat that comes with food and drink sounds pretty good to me! OMG Barbara – you are on a roll with these 5s! Looking forward to the next “experiment”! Yes – another dinner experiment soon!